How to find auditions for dance companies ? I want to ask how to find out auditions for dance companies. Comments for How to find auditions for dance companies ? One of the things you could do is browse over the websites of the companies in your region. When companies have auditions, they usually post the announcement in their websites. Still, if you don't find announcements for auditions, you can call them directly and ask. There might be more contemporary dance companies near you that haven't yet been listed in the directory of contemporary-dance.org, so make your own local research, go to them and ask. 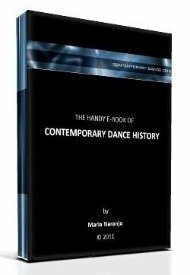 Contemporary-dance.org also publishes current announcements constantly. There are posts for auditions eventually, so you can stay in touch visiting both our page for announcements and our blog. You might find an audition there, as well as a lot of other useful information. Word of mouth is the last way to know, so if you are taking classes or have dance schools nearby, ask the people around as well.